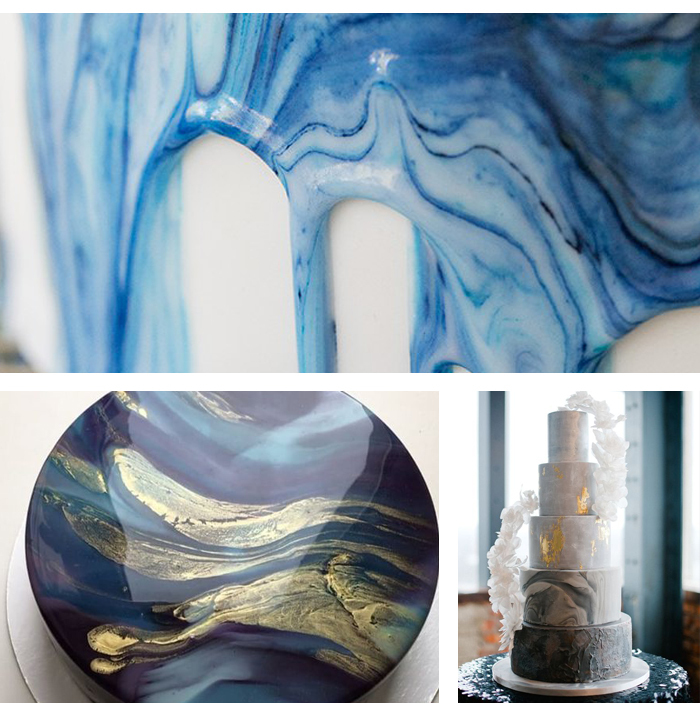 The world of weddings cakes is a hugely inventive one, serving up amazing, never-seen-THAT-before looks year after year. 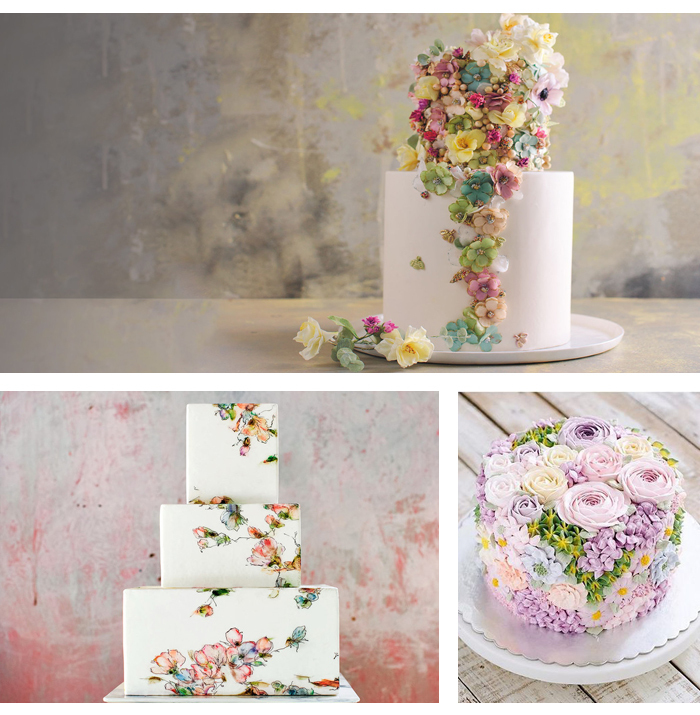 We've had ombre, pinata cakes, drip cakes, ice cream cakes - the list goes on. 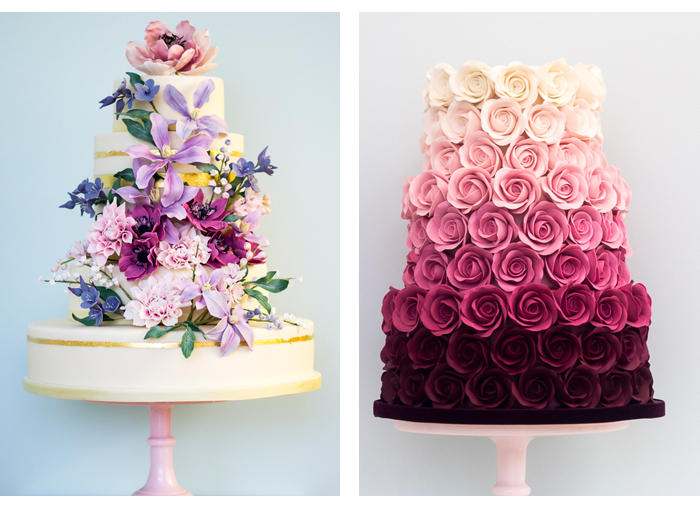 It can be tough (although admittedly, very#FirstWorldProblem) if you're a bride trying to choose the perfect cake. 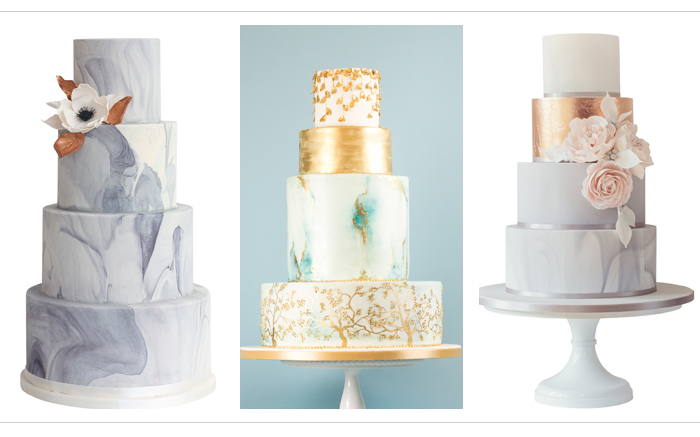 To help you navigate the perplexing, yet delicious, conundrum we've compared two of the top cake trends, marble and floral, from some of the world's best bakers. 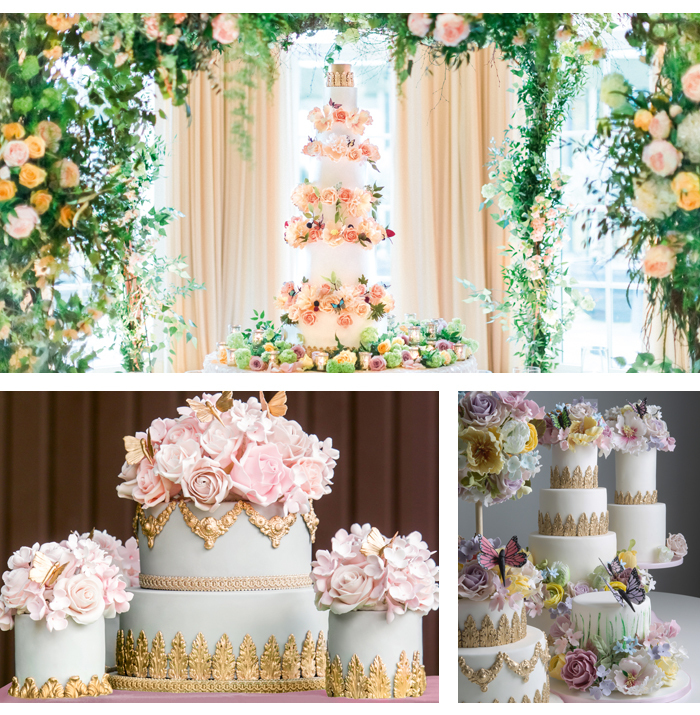 Check out this towering confection from Elizabeth’s Cake Emporium (above), which features sugar petals tucked between each layer. 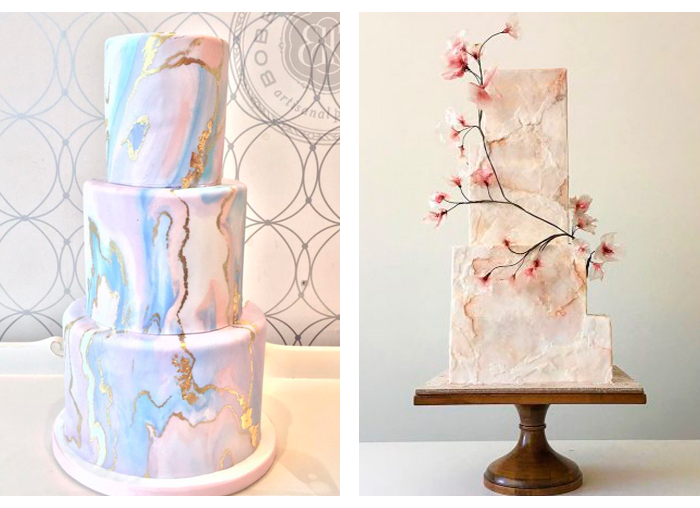 One of the coolest trends to emerge from cakeland is the oh-so elegant marble effect and as the seasons change, it's clear that this is a trend is solid as a rock. The stylish look lends itself well to modern registries and receptions. Parachute in a few other trends, such as geo and gold-flake and rose gold for extra oomph!